BOYLE’s Chief Engineer, Michelle Richards, P.E. 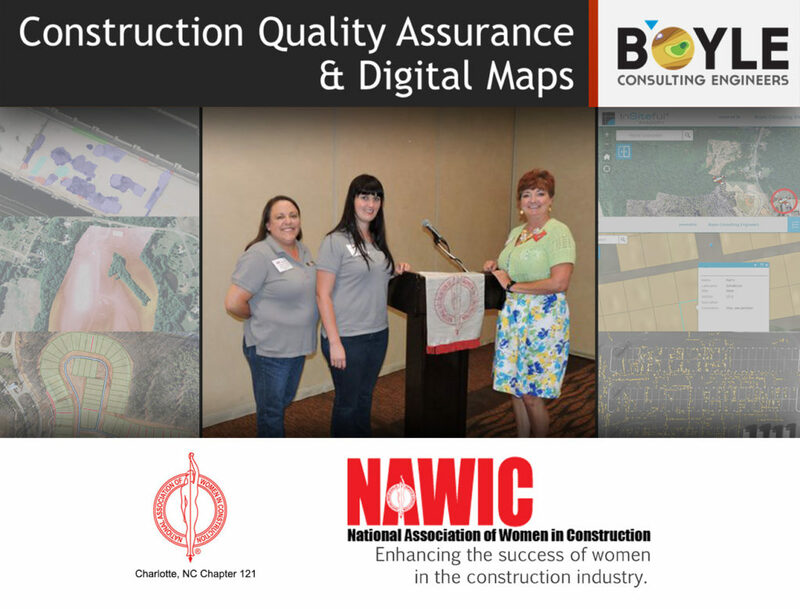 and our Geospatial Analyst, René Pretorius, were invited to be speakers at the Charlotte, NC National Association of Women in Construction (NAWIC) June chapter meeting. It was a great experience to meet the ladies in this Charlotte chapter! We were honored to be able to share some of what we are doing in construction Quality Assurance with them. Since 1995, Boyle Consulting Engineers has helped and continues to help people mitigate construction and land development risks through our knowledge and expertise in the fields of geotechnical, geo-environmental, geospatial, and construction materials.